NOTE: Commercial collection agencies are required to register with the state using the Florida Division of Consumer Finance’s (DOCF) online licensing system (REAL). property, or service which was the subject of the transaction was primarily for commercial purposes and not primarily for personal, family, or household purposes, whether or not such obligation has been reduced to judgment. The term “claim” or “commercial claim” includes an obligation of a person who is comaker, endorser, guarantor, or surety as well as the person to whom such credit was originally extended. 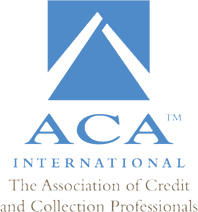 (2) “Commercial collection agency” means any person engaged, as a primary or secondary business activity, in the business of soliciting commercial claims for collection or in the business of collecting commercial claims, asserted to be owed or due to another person, regardless of whether the collection efforts are directed at the primary debtor or some other source of payment. solely for the purpose of facilitating collection of such commercial claim for another. (4) “Out-of-state collector” means any person or business entity engaged in the business of soliciting commercial claims for collection or of collecting commercial claims whose business activities in this state are limited to collecting commercial claims by means of interstate communications, including telephone, mail, or facsimile transmission, originating from outside this state. S.J.R. No. 2144 (End) of the 2005 First Reg. Sess. of the 19th Leg.). than one-half of the income of such person arises from the business of soliciting commercial claims for collection or collecting commercial claims. (b) A financial institution authorized to do business in this state and any wholly owned subsidiary and affiliate thereof. (c) A licensed real estate broker. (d) A title insurance company authorized to do business in this state. (e) A collection agency which is not primarily engaged in the collection of commercial claims. “Not primarily engaged in the collection of commercial claims” means that less than one-half of the collection revenue of such agency arises from the collection of commercial claims. (f) A consumer finance company and any wholly owned subsidiary and affiliate thereof. (g) A person licensed pursuant to chapter 520. (i) An out-of-state collector as defined in this part. (j) An FDIC-insured institution or subsidiary or affiliate thereof.